Getting these out of the way ahead of CYHO’s release. Q: Macro Cosmos is face-up in my opponent’s Spell & Trap Zone, and its effect that banishes any card that would be sent to the Graveyard is applying. In this situation, can I activate the effect of Dragon Ravine? A: Even in this scenario, you can activate the effect of Dragon Ravine. When activating the effect, the card you discard as the cost will be banished due to the effect of Macro Cosmos, but the effect will still resolve. Also, if you activated the effect that sends a Dragon-Type monster from your Deck to the Graveyard, the Dragon-Type monster you choose will be banished due to the effect of Macro Cosmos instead of sent to the Graveyard. Q: Odd-Eyes Gravity Dragon was sent directly from the Deck to the Graveyard by the effect of Foolish Burial. In this situation, can the effect of Odd-Eyes Advent Ritual Summon that Odd-Eyes Gravity Dragon from the Graveyard? A: An Odd-Eyes Gravity Dragon that was sent from the hand or Deck to the Graveyard without first being Ritual Summoned to the field can still be Ritual Summoned from the Graveyard with the effect of Odd-Eyes Advent. Q: If I activate the effect of Dark Requiem Xyz Dragon that makes an opponent’s monster’s ATK become 0 and increases its own ATK, targeting a Raidraptor – Ultimate Falcon, how does that effect resolve? 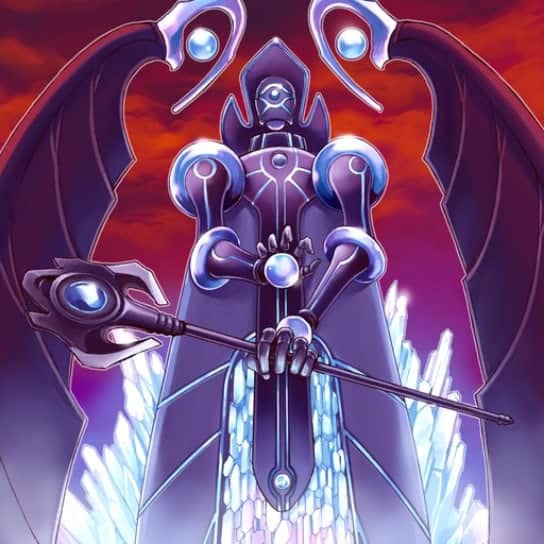 A: In this scenario, since Raidraptor – Ultimate Falcon is unaffected by other cards’ effects, its ATK will not become 0 by the effect of Dark Requiem Xyz Dragon. In that case, the part of the effect that increases the ATK of Dark Requiem Xyz Dragon is also not applied, so its ATK remains 3000 and the ATK of Raidraptor – Ultimate Falcon remains 3500. Q: Imperial Iron Wall is face-up in my opponent’s Spell & Trap Zone, and its effect that prevents players from banishing cards is applying. In this situation, can I activate Invocation? A: In this scenario, if you can perform the Fusion Summon using only materials in your hand, you can activate Invocation. Since you cannot apply the effect that allows you to banish materials from your field or the Graveyard when Fusion Summoning an “Invoked” Fusion Monster, you cannot activate Invocation if you do not have the correct materials to use otherwise. Q: When I Fusion Summon an Invoked Mechaba while my Aleister the Meltdown Invoker is in the Extra Monster Zone, I activate the effect of Aleister the Meltdown Invoker that adds Invocation or The Book of the Law from my Deck to my hand. If I chain the effect of D.D. Crow by discarding it, so that I have no cards in my hand, how does the effect of Aleister the Meltdown Invoker resolve? A: In this scenario, if you have no cards in your hand when the effect of Aleister the Meltdown Invoker resolves, you cannot discard a card with that effect, so you also do not add Invocation or The Book of the Law from your Deck to your hand. Q: There are 2 monsters on my field, a single monster on my opponent’s field, and Lair of Darkness is face-up in my Field Zone. In this situation, after activating and resolving a Counter Trap Card such as Drastic Drop Off, if I activate the effect of Voltanis the Adjudicator in my hand, can I apply the effect of Lair of Darkness? A: To activate the effect of Voltanis the Adjudicator in your hand, you must Tribute all monsters on your field as the cost, so normally you cannot Tribute any of your opponent’s monsters by applying the effect of Lair of Darkness. In this scenario, since there are 2 monsters on your field, you can only activate the effect of Voltanis the Adjudicator by Tributing those 2 monsters. However, in a situation where you have no monsters on your field and wish to activate the effect of Voltanis the Adjudicator, you can apply the effect of Lair of Darkness and Tribute only 1 DARK monster on your opponent’s field. Q: My Link Spider is in the Extra Monster Zone, and Sky Striker Ace Rei is face-up in my Main Monster Zone. In this situation, can I activate the effect of Sky Striker Ace Rei that Special Summons a “Sky Striker Ace” monster from my Extra Deck? Q: During my Main Phase, my opponent activates the effect of their Sky Striker Ace Rei and Special Summons Sky Striker Ace Shizuku from the Extra Deck. If I activate Mind Control and take control of that Sky Striker Ace Shizuku, can I activate its effect that adds a “Sky Striker” Spell Card from my Deck to my hand? A: In this scenario, you can choose whether to apply the effect of Mind Control or the effect of Sky Striker Ace Shizuku first during your End Phase. If you apply the effect of Mind Control first and return Sky Striker Ace Shizuku to your opponent, your opponent can then activate the effect of Sky Striker Ace Shizuku. However, if you activate the effect of Sky Striker Ace Shizuku first and then return it to your opponent, your opponent cannot activate its effect afterward. Q: My Sky Striker Ace Shizuku is in the Extra Monster Zone, equipped with Sky Striker Battleship: Hercules Base. If that Sky Striker Ace Shizuku destroys an opponent’s Token by battle and there are 3 or more Spell Cards in my Graveyard, does the effect of Sky Striker Battleship: Hercules Base that draws 1 card activate? A: When a monster equipped with Sky Striker Battleship: Hercules Base destroys a Token by battle, if you have 3 or more Spell Cards in your Graveyard, the effect of Sky Striker Battleship: Hercules Base that draws 1 card will activate. Q: During the End Phase, when I activate the effect of Sky Striker Battle System: Multirole that Sets “Sky Striker” Spell Cards to my field, can I Set a Sky Airspace: Area Zero to my Field Zone? A: You can Set a Sky Airspace: Area Zero from your Graveyard to your Field Zone with the effect of Sky Striker Battle System: Multirole. When you do, if there is already a Field Spell Card in your Field Zone, it is sent to the Graveyard. Number VI of The Organization, Redshift is a firm believer that the toilet paper should be pulled outward from the top of the roll, not the bottom.